IN THE UNITED STATES, MORE NEARLY 2,500 PEOPLE DIE each year in fires, and nearly 14,000 people are injured. Properly installed and maintained smoke alarms provide early warning of a fire and allow occupants precious time to escape a burning building. Having a working smoke alarm more than doubles your chances of surviving a fire. Take action today to keep your family safe. Smoke alarms that are more than 10 years old should be replaced. Aging smoke alarms are unreliable and often are the source of nuisance alarms. Borrowing" a smoke alarm battery can be deadly. Removing a smoke alarm battery for another use takes away its lifesaving benefits and puts your family at risk. Fire drills aren't just for schools — practice escape at home, too. Develop an escape plan with two ways out of every room, then practice so everyone knows what to do when the smoke alarm sounds. Ionization alarms sound quickly when a flaming, fast moving fire occurs. Photoelectric alarms are quicker at sensing smoldering, smoky fires. Get FREE smoke alarms installed by your firefighters. 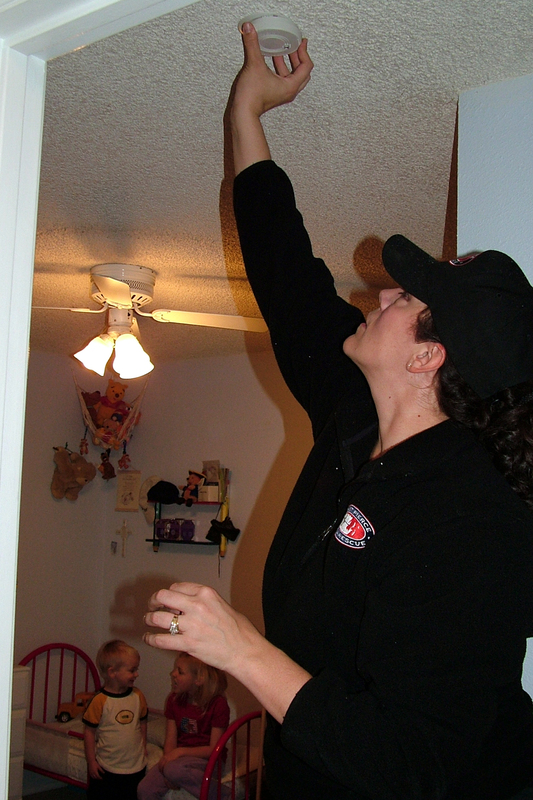 Due to grant funding, East Pierce Fire & Rescue is able to offer free smoke alarms to its residents. Fire department personnel will install alarms equipped with a 10-year battery. Call 253-863-1800 to schedule an appointment. To learn about smoke alarm types, placement and maintenance, click here.